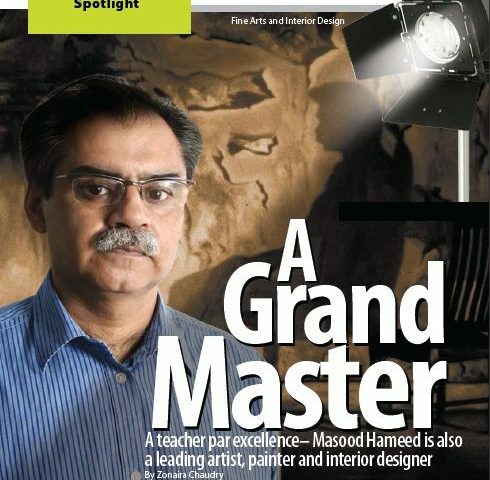 Masood Hameed is not only an expert artist, painter and an interior designer, he teaches art as well. The son of the renowned Urdu literary writer A Hameed, he earned a distinction and an immediate job offer on graduation from NCA. Teaching at NCA since 1990, he is the only drawing teacher who has taught drawing to all departments. 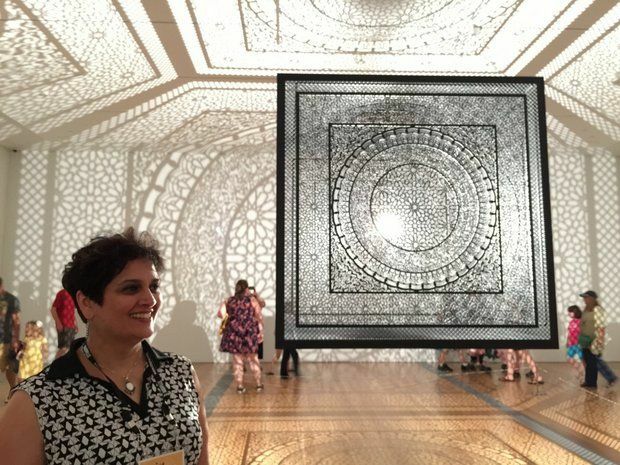 “Every department has its own drawing technique, unique method and requirement. Every discipline has a different scene,” he asserts. He has also taught in University of Engineering and Technology, College of Art and Design, GC University, Faisalabad, Gift University, Gujranwala and Kinnaird College for Women Lahore. 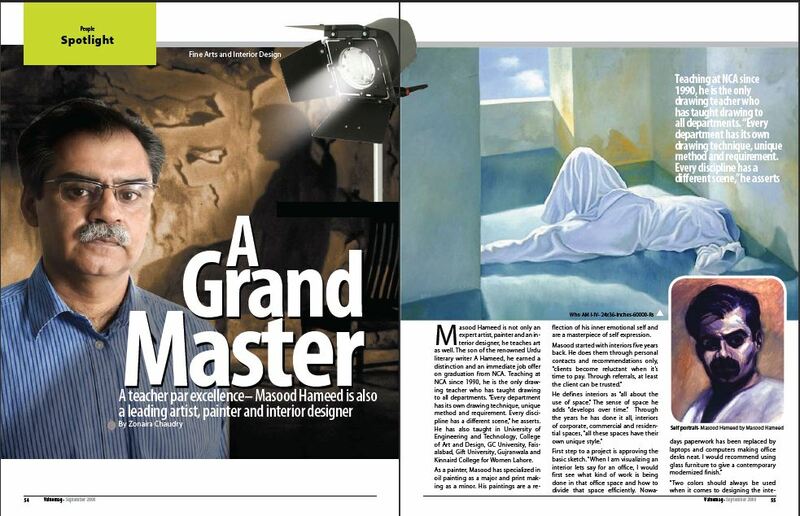 As a painter, Masood has specialized in oil painting as a major and print making as a minor. 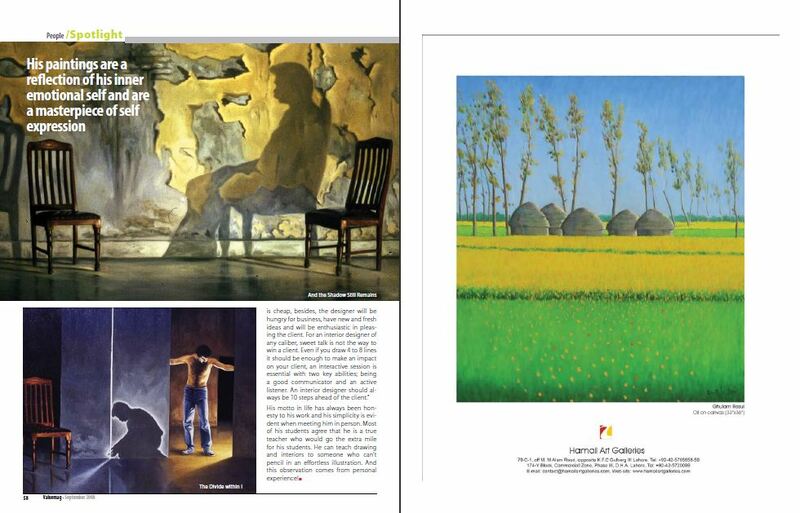 His paintings are a reflection of his inner emotional self and are a masterpiece of self- expression. “Two colors should always be used when it comes to designing the interiors, if you use a single color, the effect of the room becomes flat and dies,” he says. “Wood used in any fashion is always a much loved classic.” Other hot materials which are in vogue are Lasani board, wood polish and glass. His motto in life has always been honesty to his work and his simplicity is evident when meeting him in person. Most of his students agree that he is a true teacher who would go the extra mile for his students. 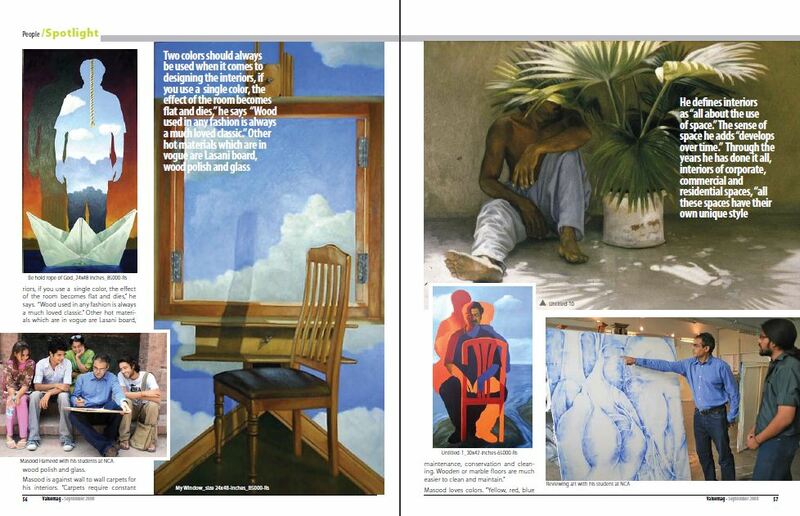 He can teach drawing and interiors to someone who can’t pencil in an effortless illustration. And this observation comes from personal experience!